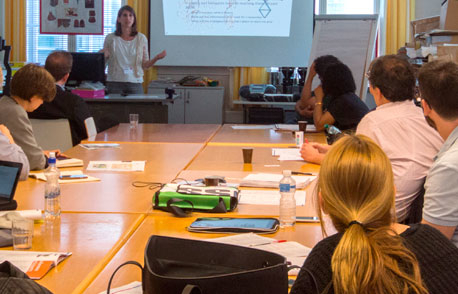 Two EMES Members, Benjamin Huybrechts and Virginie Xhauflair, take part in the organization of the second edition of the Doctoral Seminar in Social Entrepreneurship and Philanthropy (SEPHI) in Paris on the 16 and 17 July 2018, right after the ISTR Conference in Amsterdam. The seminar will gather about 20 doctoral students from different countries working at the intersection between social entrepreneurship and philanthropy. Alnoor Ebrahim, Professor of Management at The Fletcher School of Law and Diplomacy, Tufts University. This seminar could be of interest for PhD students in the EMES community. Several PhD students involved in EMES attended the first version of the SEPHI seminar as well as its previous editions of what was then called the “Doctoral Seminar in Social Entrepreneurship” at HEC Liège. In this context, they posted summaries of the guest speaker presentations and the subsequent discussions on the EJEB blog. We are looking forward to receiving applications from the EMES PhD community as part of the growing dialogue between the fields of social enterprises and related notions such as social investment and philanthropy. Interested candidates should send a sample research paper or outline of their research in attachment to an email motivating their participation. The application should be sent by Monday 30 April 2018 to Aurélie Couvin: couvin@essec.edu.